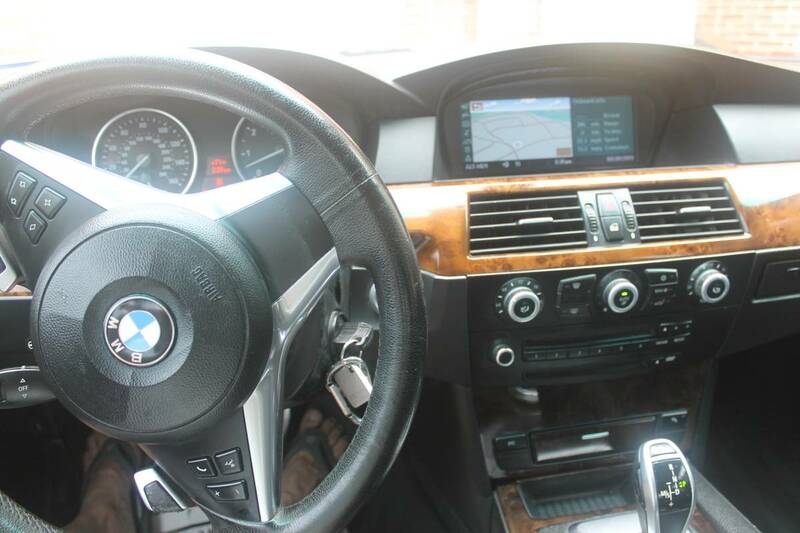 The last of the naturally truly aspirated BMW V8s, this elegant sedan and sporty paddle shifting sports car is both with a hefty 390 HP (approximately 30+ with DINAN UPGRADES), this car is more than fun, it’s just a blast to drive. No sport mode even needed (although it has it)! 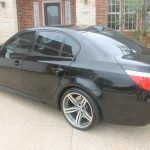 Wrapped with 19″ OEM BMW 5 spoke M5 wheels, this classic look of the 5 series is accented even more with the M-Sport body kit and DINAN tuned exhaust. 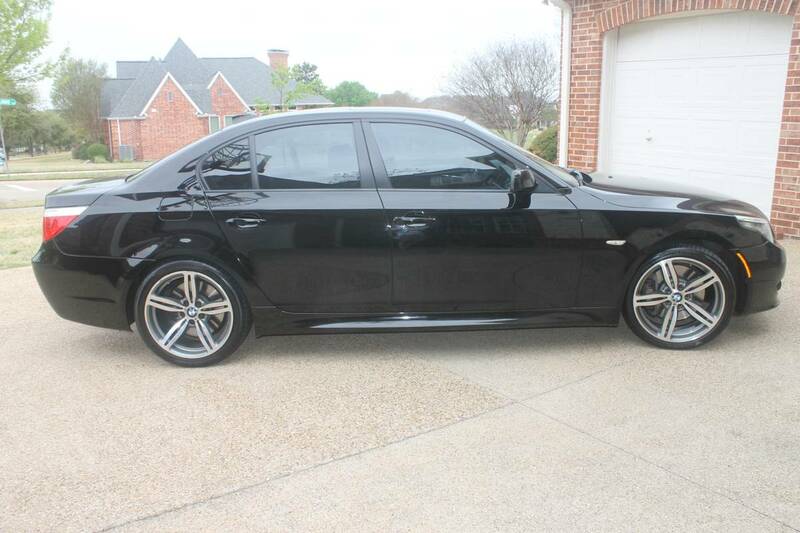 It’s got everything of an M5, without all the problems of a M5! And gets better gas milage than most V8s. Dinan Performance Engine Software extracts additional power as well as speeding up throt-tle response. The software safely raises the rev-limiter by 250 rpm, enabling you to carry more road speed in each gear as well as optimize shift points for maximum acceleration. The top speed governor is removed, enabling the cars to reach their natural top speed. 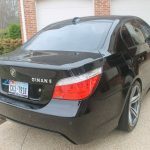 Additional stages of Dinan Engine Software are available, calibrated for use with specific combinations of the other Dinan engine products in order to ensure optimum performance, reliability and drivability. The performance intake systems take full advantage of the ram-air effect by adding a second inlet that force-feeds more cool, oxygen rich air to the engines. The systems feature an enhanced replacement air box and cover that increase total volume as well as accommodate the additional air inlet and larger high flow filter element. The air box and cover are manufactured from injection-molded plastic, provid-ing the most effective insulation against power robbing under-hood heat. The sealed design pressurizes the intake system for maximum power gains and fur-ther reduction of intake air temperatures. Air from the added inlet is channeled through a carbon fiber duct, offering a tasteful high performance look under the hood. The 550 system also includes a replacement air mass meter housing and adaptor. Matching Stage 2 Engine Software is highly recommended for optimum performance and drivability. 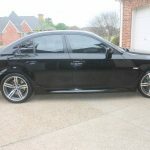 Reduced weight, 100% 304-stainless steel construction, a great sporty exhaust note and superior flow make for the best performing 5 Series mufflers on the market. 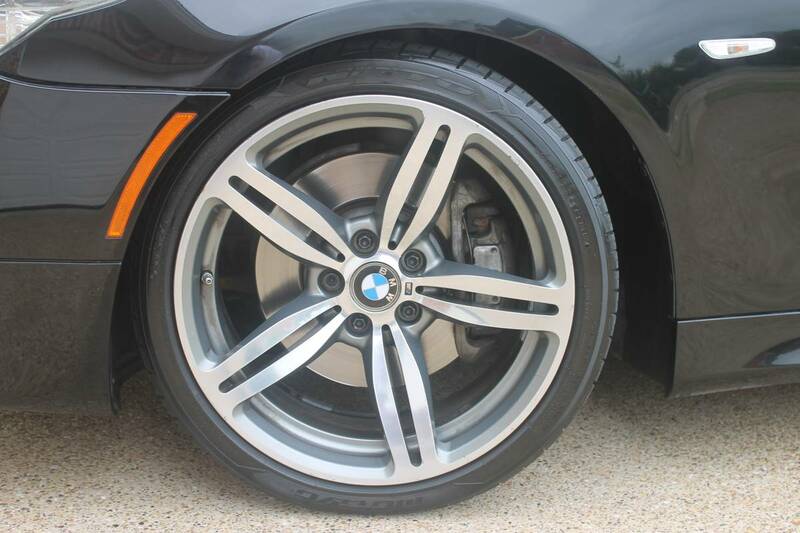 Larger polished stainless steel tips give the cars a tasteful high performance look unlike any other. Careful attention to detail ensures a perfect fit using the factory hangers. Dinan carefully bores the stock throttle body, increasing the internal diameter for greater air-flow area. The larger bore further improves air-flow for increased power output and more immediate throttle response. Matching Stage 3 Engine Software is recommended for optimum performance and drivability. Dinan’s High Flow Air Mass Meter housing features a larger internal diameter, further improving the delivery of air to the en-gine for maximum output. The Air Mass Meter is available for both the 545 and 550, for use in conjunction with the High Flow Intake Systems. Matching Stage 4 engine software ensures optimum performance and drivability. 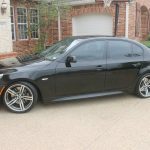 – Full maintenance records from Classic BMW in Dallas up to 50K Miles. Independent shop EuroConnection from 50K to 118K has balance of maintenance records. 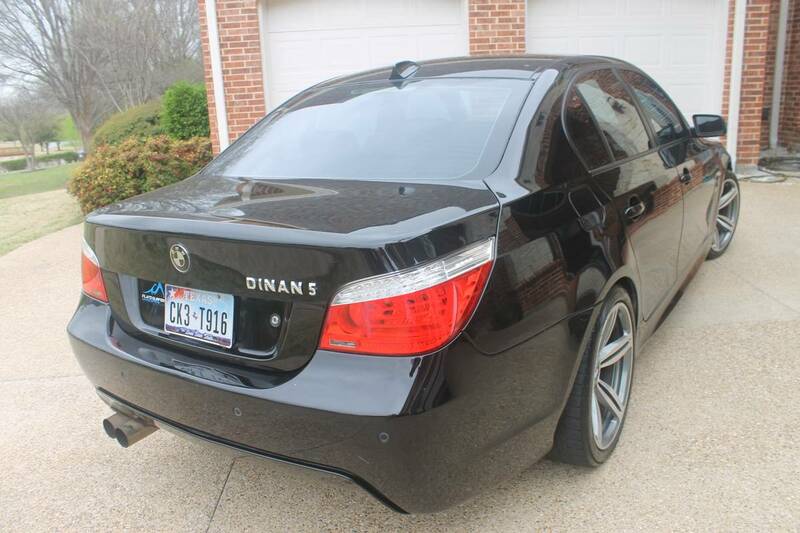 What does the Dinan work do to the already fairly potent N62? Fora discussing the changes seem to indicate there is a demonstrable change in the attitude of the engine, especially in throttle response and that the car’s power numbers listed. Supposedly, the intake alone is good for 18 horsepower so the full lot of throttle body, intake, exhaust and software should add more than 10% to the output. 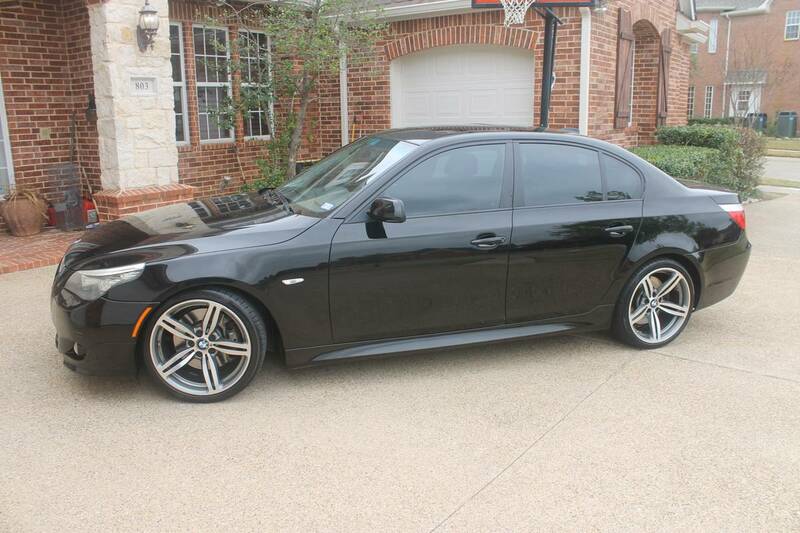 That should leave this 550i right around or just north of 400 horsepower as the seller suggests. What is clear is how much those modifications cost originally; without installation, the Stage 3 software runs $559, the exhaust is $1,338, the intake is $1,132 and to top it off the throttle body is a further $926. All told, you’re out the door with $5,000 or more worth of Dinan bits, but outside of the discrete badge you wouldn’t know it. 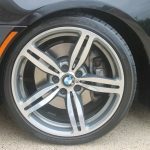 Subtle bumper and sill changes made the M-Sport more aggressive, while the M5 wheels add a splash of pizzazz to the understated Black 668 exterior and over LCSW Black Dakota leather. 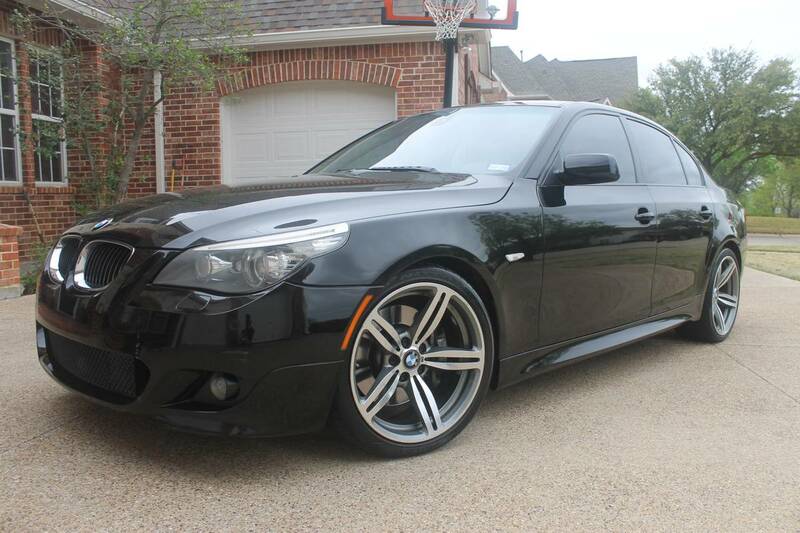 Produced in late November 2007, this car was equipped with the M-Sport package P7MPA, S229A Dynamic Drive, S225A Sport wheel, S2NNA Style 172s, S2TBA Sport transmission, S2VBA Tire pressure monitoring, S300A/302A central locking and alarm, S319A integrated remote, S339A Shadow Line trim, S354A green windshield, S403A glass sunroof, S430A/431A autodim mirrors, S438A fine wood, S441 smoker package, S442A cupholders, S456A comfort seats, S473A armrests, S508A park distance control, S552/S554 Xenon lights with auto-level, S534A automatic air conditioning, S563A light package, S609A navigation system, S620A voice control, and a host of options for prewiring the radio and phone. This example is in beautiful condition and the paintwork gleams. My time with an E6x was highlighted by serenely soaking up mileage on the highway; these are supremely confident on the fly and you’ll arrive at your destination none the worse for the wear. 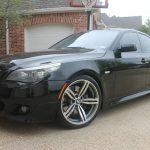 Despite the highway comfort, my 530xiT was great fun to drive in the twisties. Turn the power up and drop the weight down, with a stiffer suspension and it’ll surprise you with its agility. I’ve been on track in 545is and 550is, and their agility defies their massive stature. 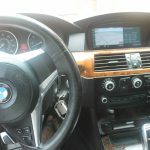 Getting into a complicated older German car can sometimes be daunting, but the 550i does a nice job of balancing performance and luxury without the bills associated with the S85 V10. That it comes to market at 50% of the going rate of Ms is an extra bonus. 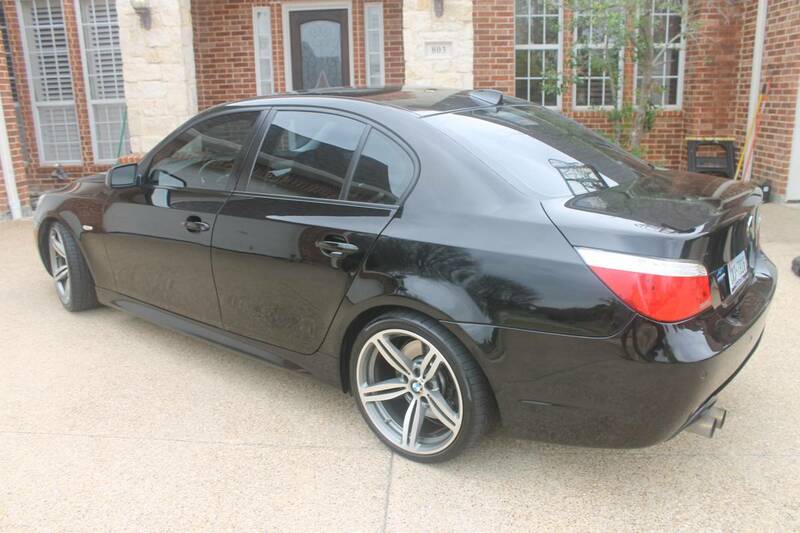 Tagged 2008, 550i, 550i M-Sport, BMW, Dinan, Dinan 5, e60, Feature Listing, LCI, M Sport. He’s now dropped it down to less than $9k! What is the maintenance outlook on this beast?